Please take a minute to read. You work your (dive) boots off to earn your vacation. We work ours off so you get what you want, expect and deserve on your vacation. Your booking enquiries are handled by us, the Dive Bus Crew (aka Doris). 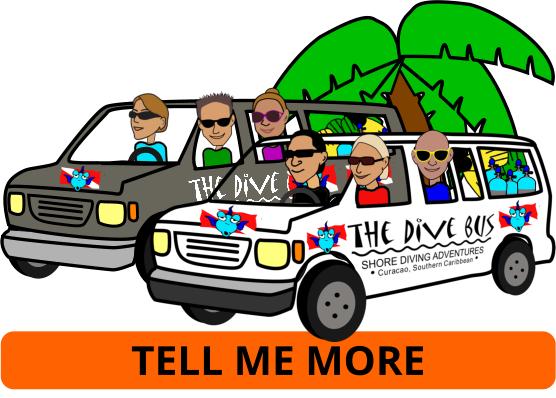 We’re the folks who’ll be diving with you, teaching your PADI dive course, checking you in, taking care of you, fixing stuff for you, helping you out in the Dive Bus shop and generally making sure you have an awesome time with us, here in sunny Curacao. Depending when you read this, we’re either doing all of the above with today’s divers or sleeping, so it may take us a couple of days to get back to you (maybe longer during the busy holiday periods). We don’t build our diving schedule – you do. 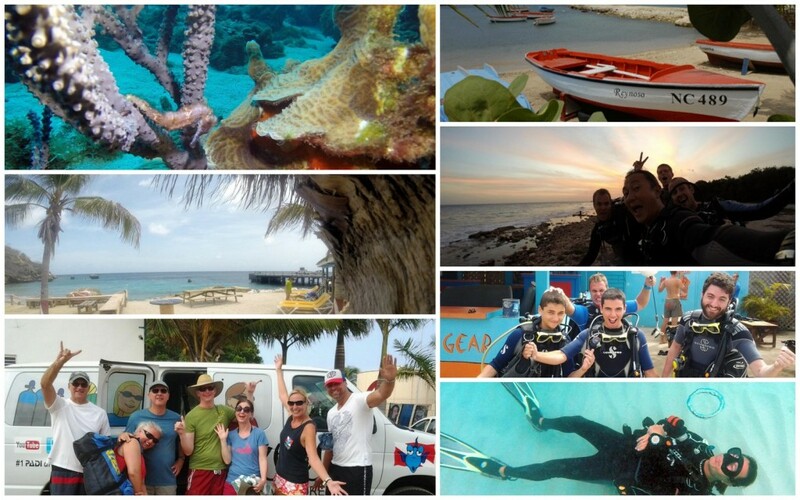 Instead of having a fixed activity or dive-site schedule, it's built around activities booked by our divers - you. So to get to do what you want to do, when you want to do it, book in advance.. Things beyond your control, such as flight or cruise ship docking delays, or sickness (nope, hangovers don't count), we'll do our best to re-schedule your activities where possible. PADI dive course paperwork issues: during your booking process, we’ll advise what paperwork you need to prepare in advance and bring with you. If you have questions or aren’t sure, please ask before confirming your booking. You not being able to show proof that you’re a certified diver and date of last dive, we do our best to schedule you on a Discover Scuba Dive class instead. You work hard to earn your vacation, and it isn't cheap. Neither is diving. But trip insurance is - and it may even be provided by your credit card company (worth checking out). Even if it's not, trip insurance usually costs pennies per vacation day and can save you a lot of money and disappointment. For example if you have to cancel your dives due to airline delays, injury, bad conditions, lost luggage, injury, hangover (happens a lot and we won't tell the insurance company if you don't), your trip insurance will cover it. Cancelling diving due to bad conditions is worst case scenario and of course, we do our best to reschedule in such events. But it's not always possible, so getting your money back under your trip insurance policy removes some of the 'ouch'. Long story short? Yes, take out trip insurance! In the event of injury, decompression sickness, equipment loss or damage, DAN insurance is priceless and may also include trip insurance. Completing as much information as possible enables us to provide you with accurate info, pricing and current availability. You're not committed to anything until you're ready to confirm and commit, subject to availability remaining. Drop us an email. Including your diving dates in your email subject line helps us prioritise time-sensitive enquiries. We aim to get back to you within 48 hours, but it can take longer when we're busy diving our current divers. Need a fast answer? Prefer to talk with us? We'd love to! Skype, whatsapp or give us a call.